PG&E is working harder than ever to deliver on our promise to be the safest and most reliable natural gas provider in the country. To accomplish this, we have been conducting extensive safety testing, replacing and upgrading vast amounts of pipeline, and utilizing the latest in innovative inspection, monitoring and control technologies. While we have made major strides as a company, we have more work to do. We are intent on delivering a 21st-century gas system that fully meets the needs and expectations of our customers for safe, reliable and affordable service. As the owner and operator of one of the largest natural gas systems in the United States, PG&E is responsible for an integrated transmission, storage and distribution system that consists of approximately 42,500 miles of distribution pipeline, 6,700 miles of backbone and local transmission pipeline, and various gas storage facilities. The system also includes eight natural gas compressor stations that receive and move natural gas through our pipelines. Our approach to managing this system begins with ensuring that public and employee safety is the primary driver for all of our decisions and actions. This applies to field work, operating and maintaining our assets, and office work supporting the execution of operations, maintenance and construction activities. Across our service area, our employees are working together to apply Gas Safety Excellence, our safety management system, to every aspect of our operations. In May 2014, PG&E became one of the first utilities in the world to achieve PAS 55-1: 2008 and ISO 55001: 2014 certifications for best-in-class asset management. These certifications were awarded by an internationally recognized, independent auditor and demonstrate the growing strength of our safety culture, our rigorous approach to asset management and our unwavering commitment to Gas Safety Excellence. 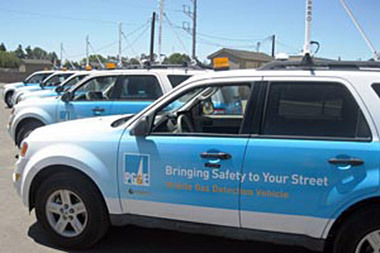 By the end of 2015, PG&E will have 10 vehicles equipped with the Picarro Surveyor technology. The safety and reliability of PG&E’s gas distribution system has been enhanced with improvements in leak response and repair, the deployment of new tools and technologies, and an overhaul of our approach to records and information management. PG&E is improving the quality of, and access to, our gas distribution records with the use of a Geographical Information System (GIS). This tool is designed to map, reconcile and analyze data and events that take place on PG&E assets. It is being deployed in concert with specialized employee training on how to use the centralized system. Technology currently used on Mars is now part of PG&E’s comprehensive suite of gas-leak detection tools. The laser-based technology was originally designed to find methane, a possible sign of life on Mars. NASA’s Jet Propulsion Laboratory and PG&E collaborated to adapt the technology to find gas leaks due to the device’s superior sensitivity to methane, a major component of natural gas. The technology helps guide PG&E crews using a tablet interface to identify possible leak locations, fast-tracking their ability to repair leaks. Decommissioned all known cast-iron pipe. We decommissioned more than 835 miles of remaining cast-iron pipe in our system, replacing it with modern plastic pipe, which is more flexible and reliable during earthquakes, and newer steel pipe. Responded effectively to the Napa Earthquake. When the 6.0 earthquake hit Napa County in August 2014, we immediately responded and conducted leak surveys on thousands of miles of the gas system pipelines, replaced or repaired distribution and transmission gas pipelines where necessary, and provided door-to-door customer service to more than 6,000 customers. Proposed opening a state-of-the-art training facility. Located outside of Sacramento, this facility will provide teams with a best in-class training environment, teach enhanced safety protocols and use the latest technologies. It will also have a significant positive economic impact on the community and region. Used new tools and technology. We deployed more than 30 new, innovative gas safety tools. Examples include our leak detection technology pioneered with NASA’s Jet Propulsion Lab and a miniature pipeline casing robot inspector that allows visual inspection of pipelines without the need for costly construction digs. Other technological upgrades include providing gas construction crews with real-time access to detailed maps of our underground gas system and becoming the first utility to use Picarro’s car-mounted natural gas-leak detection device. As one important measure of progress, we have completed 10 of the 12 recommendations made by the National Transportation Safety Board (NTSB) in its report on the San Bruno accident. The two remaining recommendations are in an “open-acceptable” status, according to the NTSB, showing that the company’s progress is appropriate and acceptable, pending completion. In 2014, we accomplished an unprecedented amount of work on our gas transmission system to virtually complete our Pipeline Safety Enhancement Plan. Going forward, significant work will continue through a holistic risk assessment and resulting proposal in our 2015 to 2017 Gas Transmission and Storage rate case filing. Additional results from last year compared with 2010 show that we are making progress on our gas distribution system as we continue to focus on becoming the safest, most reliable gas company in the country. 1 Average response time that a Gas Service Representative or a qualified first responder takes to respond to the site of an immediate response gas emergency order. 2 Number of grade 2 and 2+ leaks open at year-end. 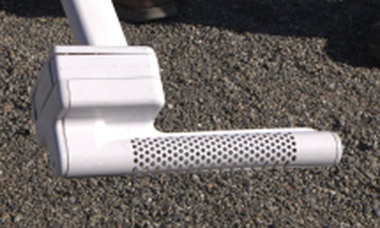 Grade 2 and 2+ leaks are minor and non-hazardous. PG&E has provided state regulators with a comprehensive proposal to continue maintaining and modernizing our gas transmission pipelines and extensive storage facilities. The plan, which covers 2015 to 2017 activities, expands on PG&E’s current program to comprehensively test, inspect and upgrade the safety of our gas infrastructure. The detailed filing identifies risks, sets clear priorities and describes the work that needs to be done to modernize our system and meet some of the strictest safety standards in the nation. It also encompassed programs within the Pipeline Safety Enhancement Plan. Another emerging focus for PG&E is reducing process and fugitive natural gas emissions from our pipelines. PG&E is a member of the Natural Gas Downstream Initiative, which aims to reduce methane leaks by encouraging investments in infrastructure, modernizing gas systems and using next-generation technologies. On the research side, a study issued by Washington State University and Environmental Defense Fund found a significant reduction in methane emissions from natural gas distribution lines. Reasons for the reduction—including upgrades at metering and regulating stations, improvements in leak detection, and maintenance and replacement of older pipeline materials—are current areas of focus at PG&E.